C.M.P. 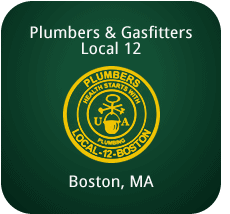 Plumbing and Heating is a commercial plumbing and heating contractor, serving New Hampshire and Massachusetts. With our strong commitment to meet industry needs with the highest standards of craftsmanship, communication and on time performance, we strive to be the future leaders of the plumbing industry. Our company has had phenomenal growth in recent years due to Chad's rock-solid work ethic and Karen's fine-tuning of business practices backed by her BSBA with a double-major in finance and management. The success of C.M.P. Plumbing could not have happened without the most dedicated, talented crew of employees. We like to call them our family.